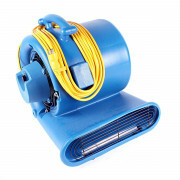 To adequately move the saturated air and humidity from a recently flooded room or basement, you will need one or more of our carpet blowing dryers. Experience significant price breaks when you order multiple units! This particular unit has 3 speeds, blows up to 2400 CFM, draws only 4.0 amps, and is stackable for storage purposes. 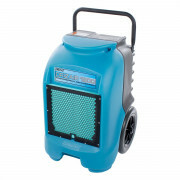 When combined with one of our dehumidifiers, like the Dri-Eaz model listed below, you really lessen the drying times for flooded carpet and basements. Operates in 4 different positions, and comes standard with a 2 year warranty. This piece of flood extraction equipment is an absolute necessity when it comes to extract large volumes of water. It can pump out up to 1800 gallons of water per hour, that breaks down to 30 gallons per minute. It is the most powerful flood restoration extractor we have to offer. It comes with a flood recovery wand w/ squeegee attachment, a 50' recovery hose, and a 50' dump hose, which let you cover a ton of area. The extractor itself is a very durable piece of equipment due to the safety precautions built into the unit. There is a stainless steel basket that captures all the larger debris and sludge that is recovered, for disposal later. The IPC Eagle line of polyethylene and stainless wet/dry vacuums now includes a line of wet vacuums with automatic discharge. Discharging liquid simultaneously with pick-up eliminates the time-consuming task of dumping every few minutes during a large clean up job. On jobs where the liquid needs to be segregated, it can be directed by hose to a holding or recovery area. The 19-inch handheld squeegee tool greatly speeds water pick up for any hard surface area. This auto discharge wet recovery vacuum is the perfect tool for flood water extraction, recovery, and restoration. A 30" front mount squeegee is available to aid in an even quicker recovery. With a pump out rate of 48 gallons per minute, this 24 gallon poly unit is a must for any professional restoration crew! The Dri-Eaz DrizAir 1200 has a max water removal rating of 16 gallons per day. 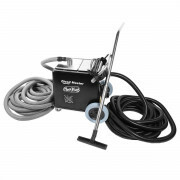 A great tool for carpet restoration and floor water removal. Our complete line of carpet drying dehumidifiers help to reduce the humidity in enclosed structural environments by removing water vapor from the air. Besides removing the water vapor from the air, the Dri-Eaz machine can also help dry flooded carpets, carpets pads, floors, walls, basements, and more. 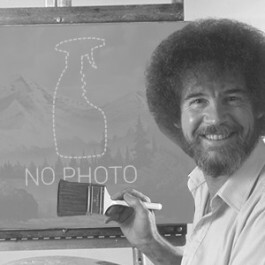 You should operate this machine in an enclosed area, for optimum water removal. 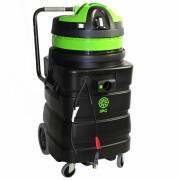 Combine with our air mover listed above for the ultimate in carpet drying ability.